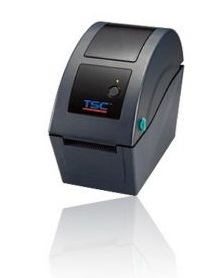 Built with typical TSC durability, reliability and commitment to innovation, the TSC 2” TDP-225 direct thermal printer brings big ideas to a small package and delivers ideal performance for retail and other labeling applications. The TSC TDP-225 printer is the first low cost compact 2” desktop printer to offer an optional LCD display to its customers. The LCD is used to present important information about print job status which brings a new level of ease of use to its customers. 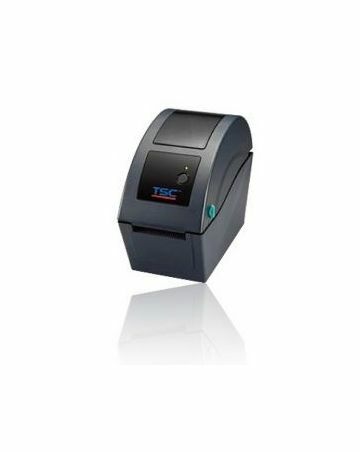 Other outstanding features include an inexpensive internal Ethernet adapter for easy integration into network systems, and an optional keyboard for printing labels in standalone or down-time situations. Designed with no losable parts, the printer fits into areas other printers cannot and integrates easily into a wide range of applications. The TSC TDP-225 features a user-friendly clamshell design with a large 5” OD center biased media capacity and a fast 5 inches per second print speed. Simply open the cover and drop your labels into the printers spring loaded media guide. Top of form sensing by gap, black mark, or notch is standard and black mark sensor is completely adjustable from side to side. With enhanced electronics, the TSC TDP-225 offers a 200 MHz processor, standard memory of 4 MB FLASH, 8 MB SDRAM and a slot for a MicroSD memory expansion that increases FLASH storage up to 4 GB. The printer supports standard industry emulations right out of the box including Eltron and Zebra language support.